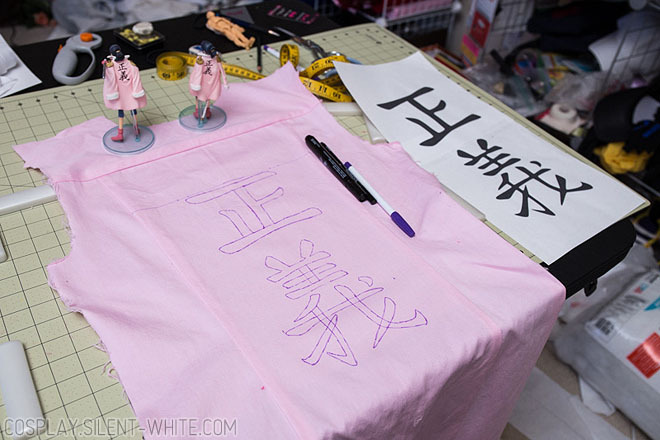 .I ended up washing it out and trying again! 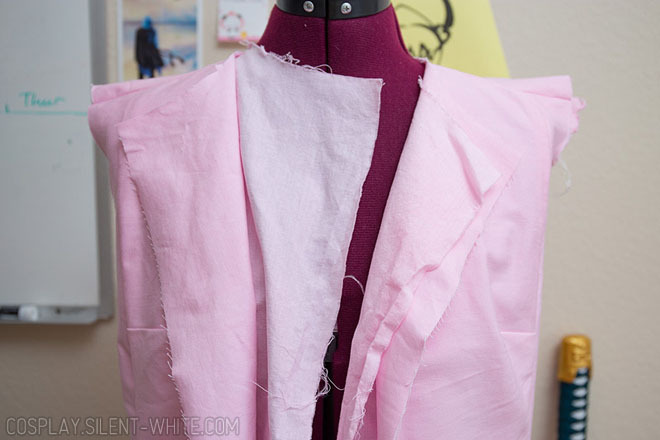 Then I sewed the front pieces together and the back pieces together, but I didn’t join the front and back immediately. 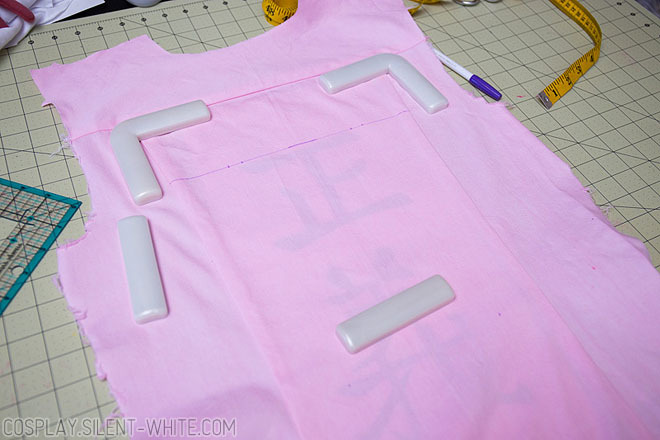 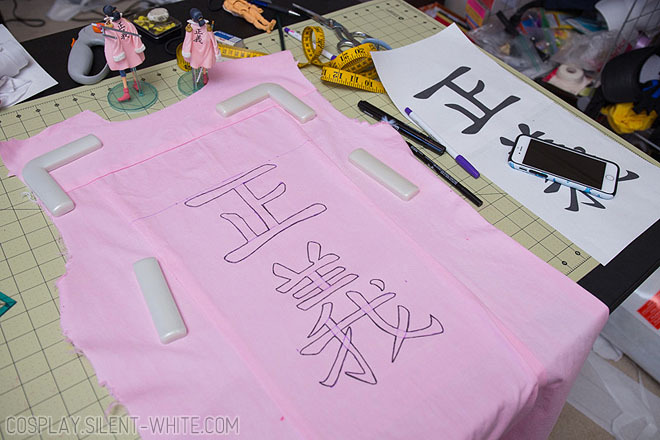 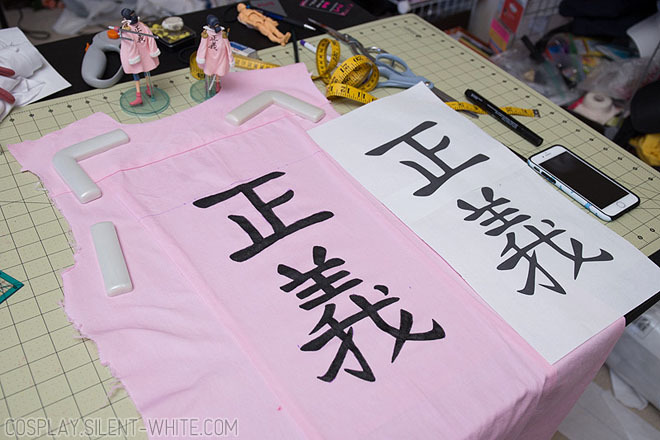 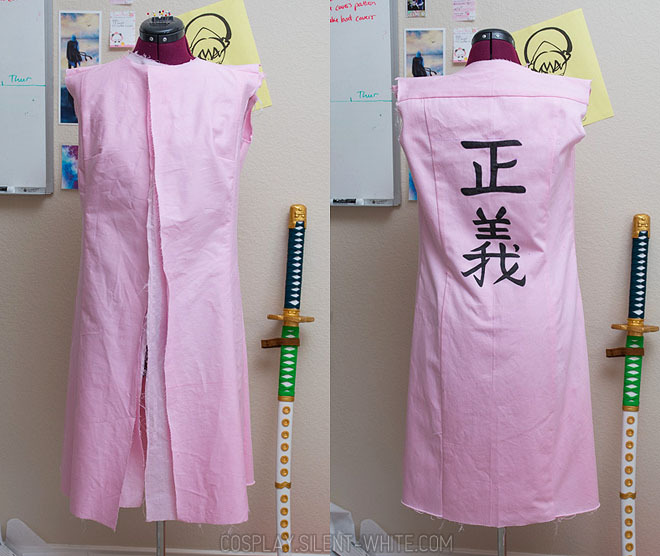 I’m glad I used a temporary fabric pen at first because I didn’t like how I spaced out the characters.I stopped to do the kanji on the back first.I used several screenshots as references and made a vector, which I printed out.